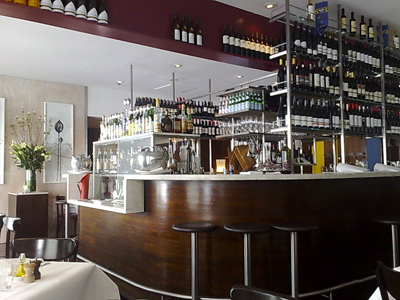 A revist to Il Bacaro is long overdue. 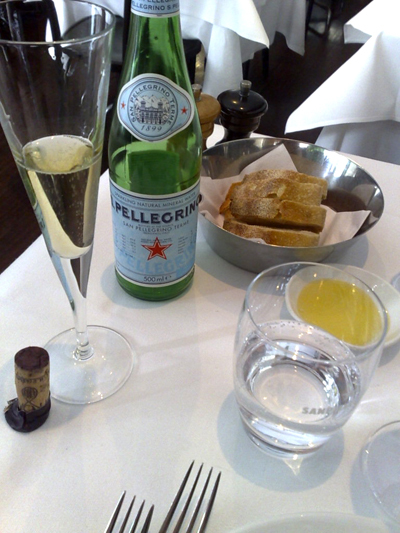 We begin with glasses of Prosecco as we peruse the menu. 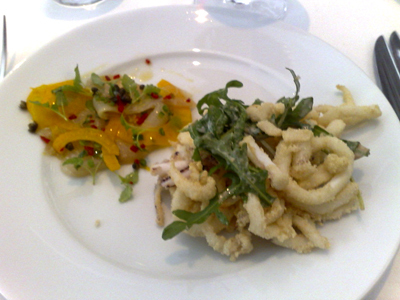 For starters, we decide to share a selection of dishes. 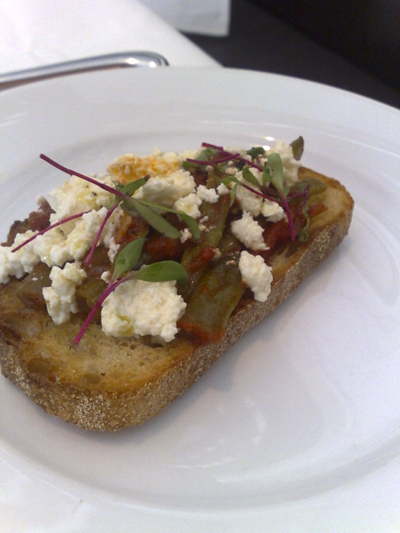 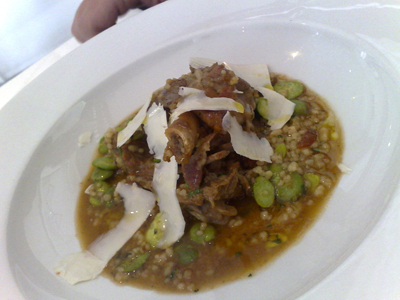 Paalo has the goat served on farro with broad beans. 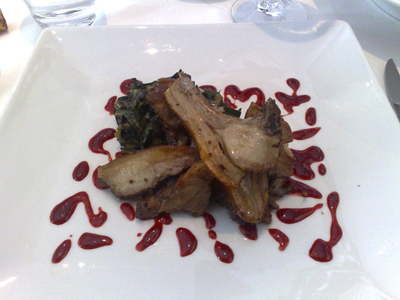 I have the grappa marinated suckling pig served with chicory. 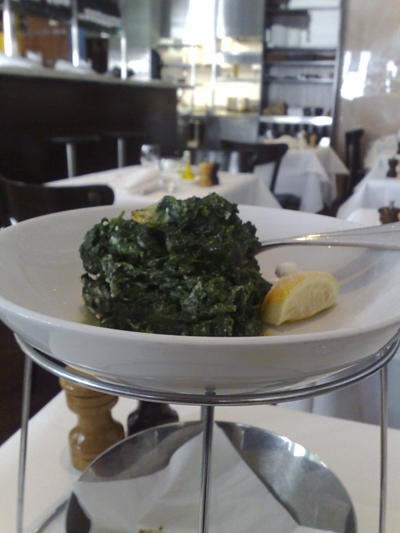 We do order a side of sauteed spinach with parmesan. 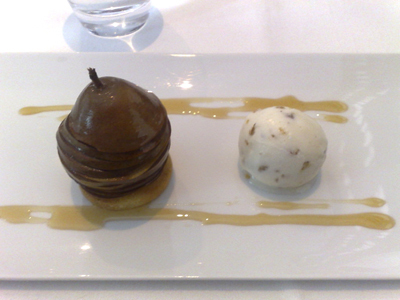 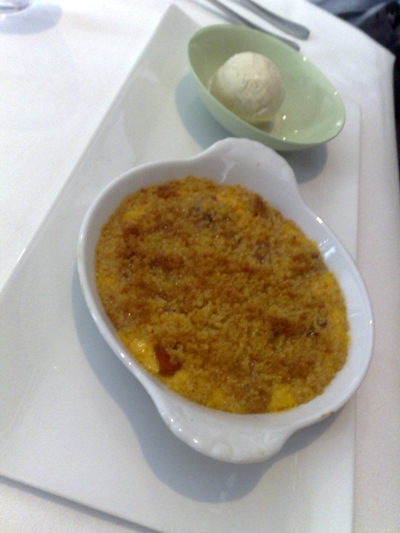 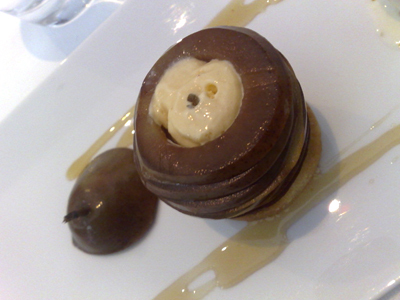 and it's served with hazelnut ice-cream.